"The pleasantest photographic companion on a ramble that we have traveled with." The Patent Bijou was introduced in 1885 and sold through 1897. 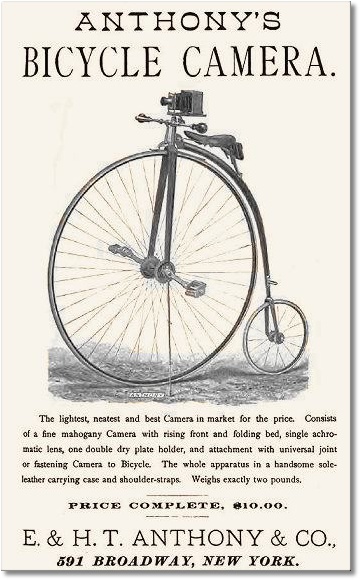 It was small in size, lightweight (14½ ounces), elegant in workmanship (living up to the Bijou name), and targeted to amateurs wanting to do more than traditional picture taking. "Many amateur photographers, after they have overcome the early difficulties of the art, look around for pieces of apparatus that are suited to some particular kind of work. Some of them own magic lanterns and desire to make pictures with a view to preparing transparencies for projection." "As the plate size is the same as those used with magic lanterns, slides may be made from them by contact printing in an ordinary frame." Even after being advertised for nearly eleven years, amateurs' desires for pictorial representation in the form of transparencies must not have grown as anticipated and this appears to be the only example of the Patent Bijou known. 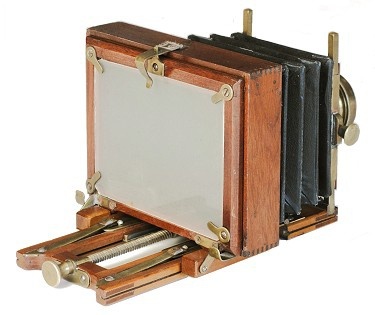 An 1886 reference shows a version with a hinge attached ground-glass frame, simple brass posts for the lens board, and fixed rear-standard. 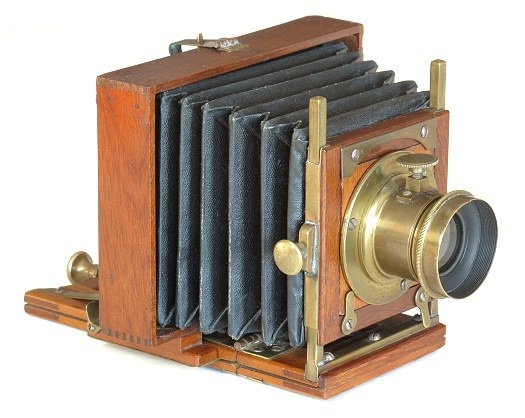 By 1895, the $6.75 camera was offered with an optional tilting rear standard (an extra $2.25), hook locked ground-glass frame, and reinforced brass posts. However, all versions had folding beds (or rails) and a fine focusing screw. The Patent Bijou shown here appears to be a transitional model between the original and final body patterns. It has open-frame focusing rails, Anthony styled ground glass frame lock, fixed rear standard, and non-reinforced brass posts. Over the years, catalogue listings illustrate cameras with several minor design changes as shown in the illustrations below. Patent Bijou Camera. 3-1/4 x 4-1/4 inch format. Small size apparatus for traveling and producing lantern slides.